"Gold! Always believe in your sooooooul!" Ahem, sorry for the Spandau Ballet reference! But, earlier this month I won Yin's Romwe giveaway which consisted of A dress, A top and a $50 giftcard*. Awesome right?! I ordered a Chiffon Horse print blouse seen here, a pair of earrings and a bracelet. Romwe didn't however send the dress and the top that they were supposed to and it's been such a ball-ache (excuse my language) to get them to, my guess is the language barrier problem as Romwe is based in China. I've pretty much given up on receiving it, I can't complain too much as it would've been free anyway. As a website, I think that their stuff is pretty pricey and it's made up of things you could buy in E-bay for cheaper, especially given the quality. So if you see something you like on there, I'd advise you to check on E-bay for it first! 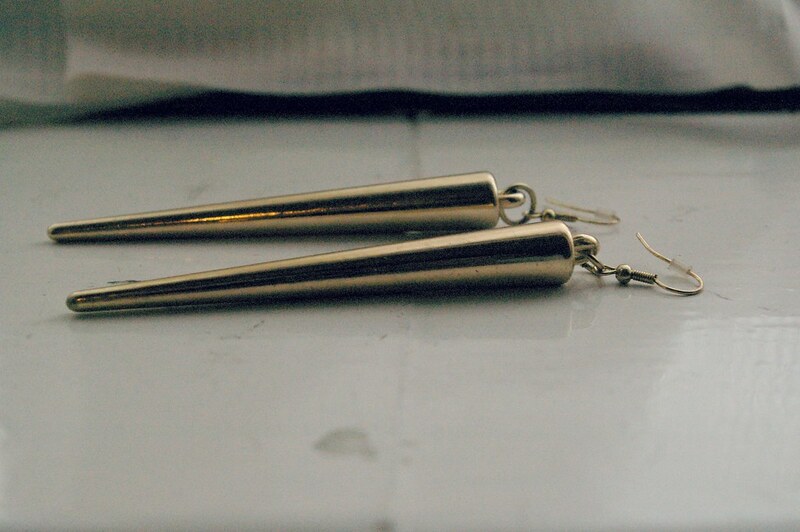 The spike earrings I got were about $11 on Romwe but I saw them on E-bay later for £1!! Shipping took about 10 days which isn't bad and the goodies were packaged very carefully and neatly which i loved. Love your earings! Check out my blog giveaway, if you like! Oh wow, I love your style of photography. I really love the grainy effect they've got it makes it look really interesting! I also really love that necklace! I so agree with you! Romwe is overpriced for the quality (or lack thereof) you get. Will never order from them again. 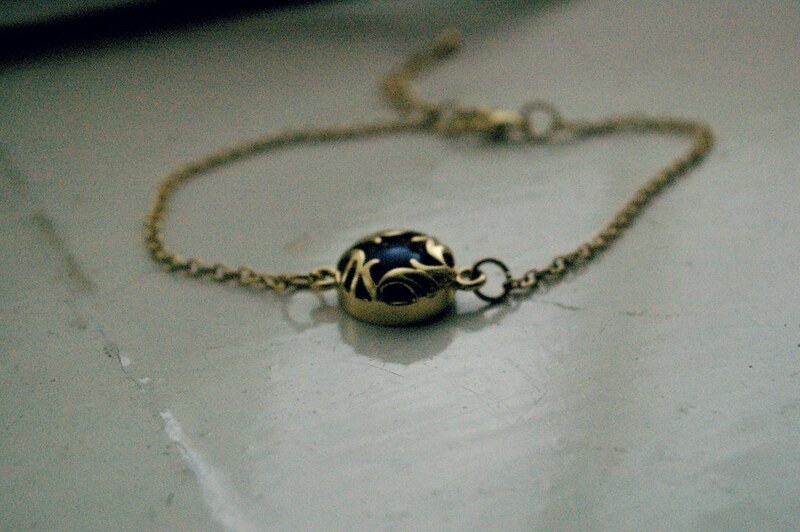 The necklace is beautiful, i love the navy and gold - always a beautiful colour combo. cant wait to see future posts. Waw, those earrings are so cool! I love those earrings, those are really unique looking. OUTFIT | Baby's Got A Temper. NEW IN | Lady In Red. BEAUTY | I Am Not My Hair.